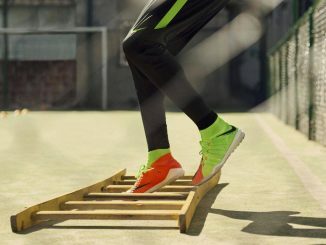 For sport, the fit is the most extremely important factor and no matter how good a pair sounds; if the headphones for running fall out as you exercise they’re useless. Neck bands and adjustable over-ear hooks provide the most guaranteed fit, but they don’t have style, while the latest in-ear silicon wings offer a secure fit and can be worn quietly so nobody else will know. Whether you choose the latest Bluetooth technology and free yourself from wires is a matter of taste, many people switch and never go back, but if you like your music really loud, or run for hours on end, it might be worth sticking to a traditional wired design. 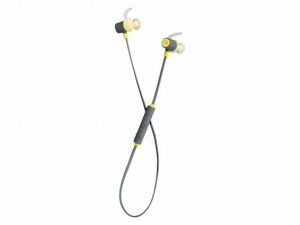 It can be very hard to try on a pair of in-ear headphones before you buy, so check if they come with different sized replaceable buds, wings and hooks – all on test here come with at least two size options. As for sound quality, even budget headphones have to be enjoyable to listen to but don’t expect sound expert-related playback, especially with ‘open’ models that are designed to let in more background noise. 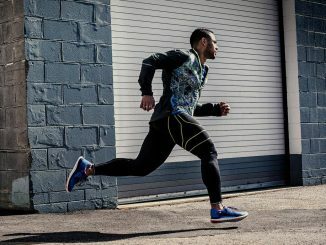 What you lose in the bass, you make up for by being able to hear the traffic as you run. Hence, we have compiled this list for you. 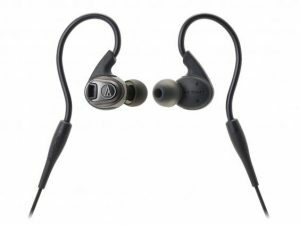 This innovative over-ear design is ideal If you like the noise isolation of good ear buds but hate having to push them back into position every few hundred yards. Looking more like a pair of professional monitors than running headphones, the mouldable cable can be bent to hook around your ears. 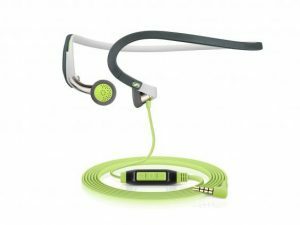 This guarantees a secure fit, while the music sounds terrific whether you’re listening to pounding EDM or guitar-based rock. They’re also IPX5 waterproof, so you can sweat profusely and then safely rinse under the tap. The only thing they’re lacking is in-line control. 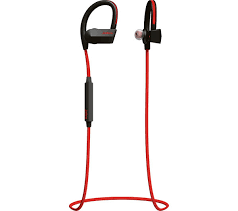 These headphones provide enjoyable sound and are very comfortable to exercise with. 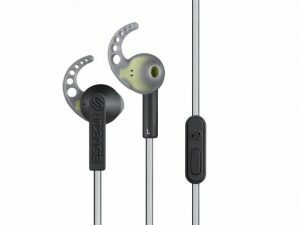 The silicon ear wings stay firmly in place, and even though there is a long cable and in-line control button they weigh just 23g, meaning they don’t tug on your ears as you run. Both sides of the cable are coated in a reflective strip which makes a huge difference if you’re out at night. 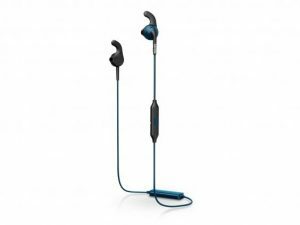 These are the cheapest model in the Monster iSport range, but even at twice the price they’re still a bargain. The unusual open ear-bud design makes them feel as if they are sitting against, rather than inside your ear, but in our tests they didn’t budge no matter how sweaty we got. Sound is big and impressive, and while the open design means bass and volume is reduced compared to traditional in-ear models, the overall effect means you can enjoy music and be aware of the world around you. These headphones are pretty expensive but they still look quite affordable. Thanks to flexible silicon wings they stay in place admirably, perfect for running. They don’t have audiophile quality performance but they’re loud enough and have a clean, balanced sound with nothing harsh to put you off your stride. These are by far the most comfortable and secure Bluetooth headphones thanks to the combination of over-ear hook and small in-ear loop. They are very light, especially given the strong and healthy waterproof rubber casing. The semi-open design is great when running on a busy road as it lets in plenty of background noise. 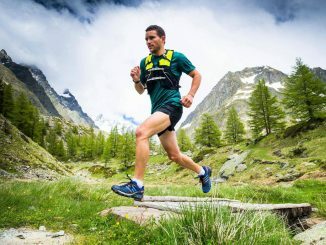 This makes running safer, making you aware of your environment They don’t sound terrible by any means, but the lack of high volume might put off those looking for an intensive soundtrack as they workout. The eight-hour battery life is healthy enough and the simple on-ear controls make skipping tracks, adjusting volume and answering calls easy. If you want a pair of lightweight headphones that will never fall out, these are close to perfect. There are no silicon wings or memory foam ear buds, just a secure fit and excellent sound quality. Sound performance is rich and rewarding with solid bass, extra loud sound level without distortion. They’re expensive, but if you demand decent sound as you run you won’t be disappointed. Yurbuds has amassed a group of loyal fans and for good reason. 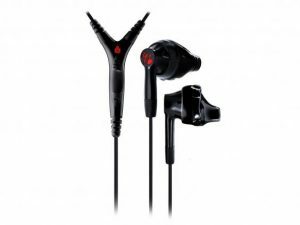 The unique rubber TwistLock ear bud design (push and turn the tacky rubber buds in your ear for a sweat-defying fit) makes them very hard to fault. 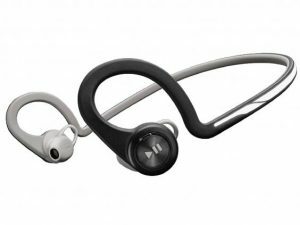 The Inspire 400, while a little more expensive, has in-line controls for music and each earpiece has a magnetic back allowing them to stick together around your neck to avoid pocket tangles. You get solid sound performance too, with plenty of volume and little distortion. Philips headphones have their earbuds super light while adding an extra electrical storage device box onto the cable. This is unlike so many Bluetooth headphones which hide the tech in the earpiece which can make them bulky and likely to get popped out They’re very light. However, creating a connection can be tricky as the lack of voice prompts makes it hard to tell when they’re ready to connect. 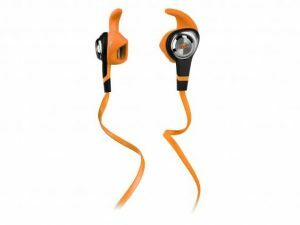 If you struggle with your headphones falling out as you run, then the Plantronics BackBeat Fit is close to perfect whatever shape your ears. 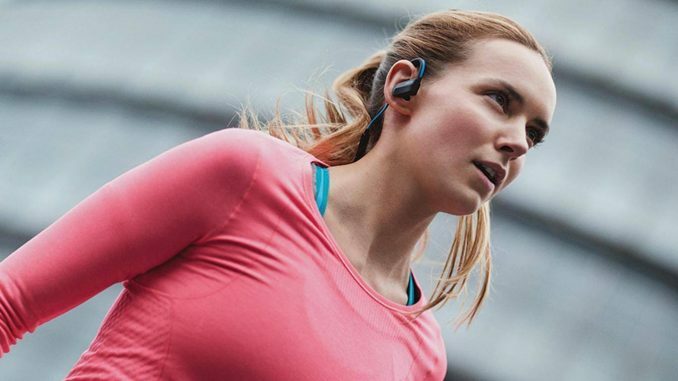 If you’re fussy about sound quality, you would find the Sennheiser PMX 686G SPORTS to offer the loudest volume, but for the ideal combination of wireless convenience, secure fit and sonic performance, the best headphones for running for us is the Jabra Sports Pace is the one for you.